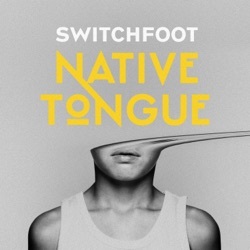 Native Tongue is the 11th studio album by American alternative rock band Switchfoot, released by Fantasy Records from Concord Music Group on January 18, 2019. What made Switchfoot such a great band was the way they made you think–and that thought-provoking side of them is totally gone on Native Tongue. Native Tongue is a nicely cohesive album that lives up to the band's two-decades long reputation for delivering heartfelt, uplifting pop/rock. It's classic Switchfoot from top to bottom, but has enough new ideas sprinkled in to keep the listener coming back for more. Artistic development is of course always welcome, but it has exaggerated the band on this album. With complex layers that almost sound like film scores and the diversity of sound throughout, this record takes it back to how it all began for the band. Switchfoot has moved away from their native tongue of California-styled hard rock to explore more musical languages, in terms of sounds and sub-genres. Veteran followers of SWITCHFOOT will celebrate the rocking anthems of their traditional sound, while new and old fans alike will enjoy the spectrum of fun musical experimentation. Native Tongue is the release that will prove them worthy of your time and adoration. Color me disappointed I’ve followed this been for a long time and I have to say this is the worst product that they’ve released to date. This just sounds like alternative pop. Computer music… anybody in this band play instruments? So sad. They used to be an excellent band. Remember Hello Hurricane? Can we get back to good ole Rock n Roll? Remember Hello Hurricane? Disappointed. Man, what happened to dare you to move? Missing some of the genuine-ness and integrity as the earlier stuff. I really sense a shift in the songwriting style. Too mainstream and progressive. Definitely miss the old stuff! Maybe the rest of the album will be better! -a hopeful fan.